A 3 million USD loan to microfinance institute FINCA Tanzania was granted by World Bank member and global development institution IFC to support the expansion of microfinance in Tanzania. 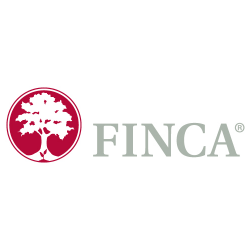 IFC noted that FINCA Tanzania will be supported for its micro financial services and financial-inclusion strategies directed toward women, the youth and Tanzania’s rural populations. Oumar Seydi, IFC Director for East and Southern Africa said “IFC is supporting FINCA to help scale up Tanzania’s microfinance industry and improve access to finance for businesses, so that they can create jobs and shared prosperity in Tanzania”. The loan will be presented in Tanzania’s local currency, the Tanzanian Shilling in order to protect local business and borrowers from foreign exchange risk. CEO of FINCA Tanzania Tom Kocsis said “In 2013 FINCA Tanzania became the first microfinance institution in the country to transform from a non-regulated organization to an entity regulated by the Bank of Tanzania…This change in status and the IFC investment will make it possible for even more Tanzanians living in rural areas to have access to formalized banking services. IFC is a leading investor in microfinance with 24 clients across 12 countries in Africa who have reached over 1.5 million SMEs and low-income households.